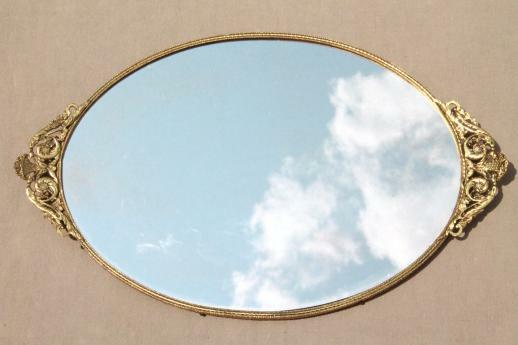 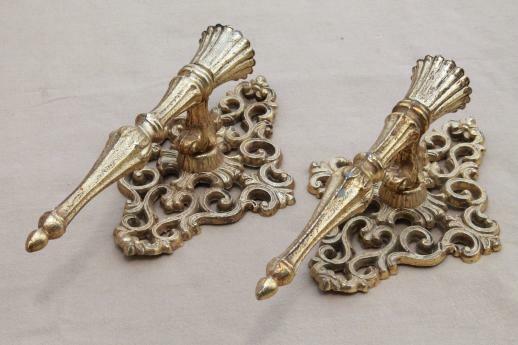 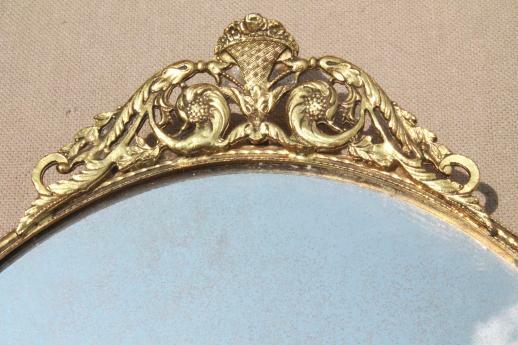 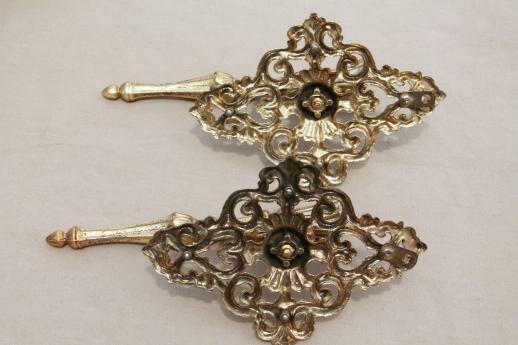 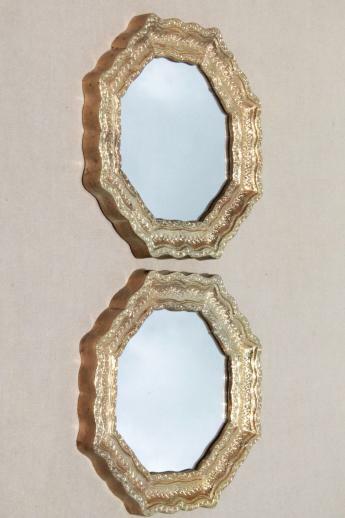 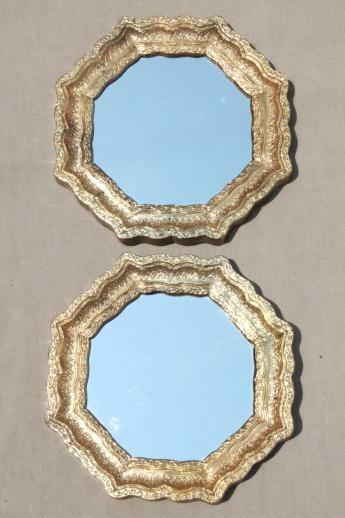 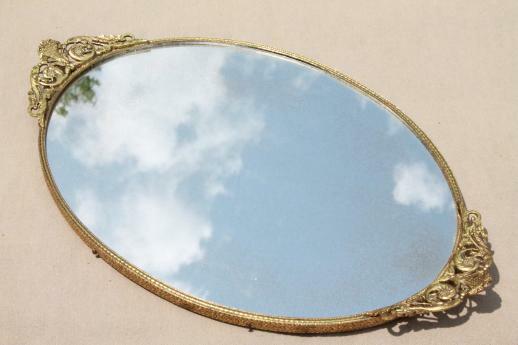 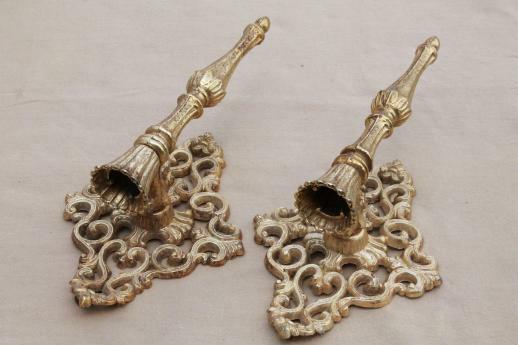 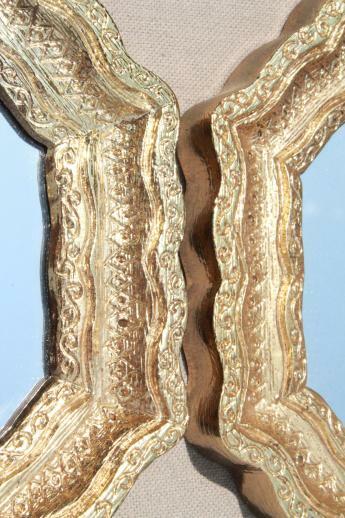 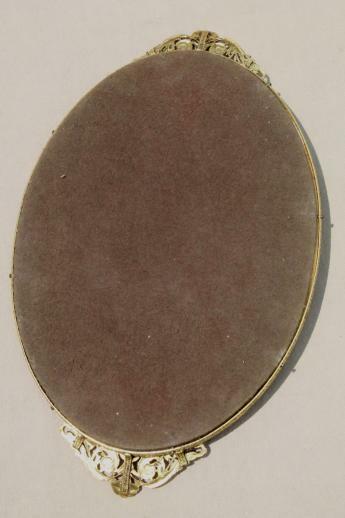 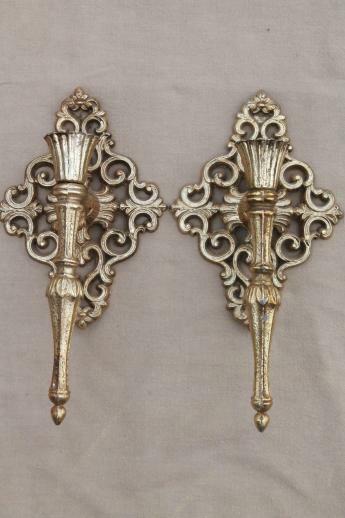 Lot of vintage gold rococo pieces for your vanity table or boudoir - a pair of cast metal wall sconces for candles - a metal framed oval glass mirrored dresser tray - a pair of gold rococo plastic framed mirrors. 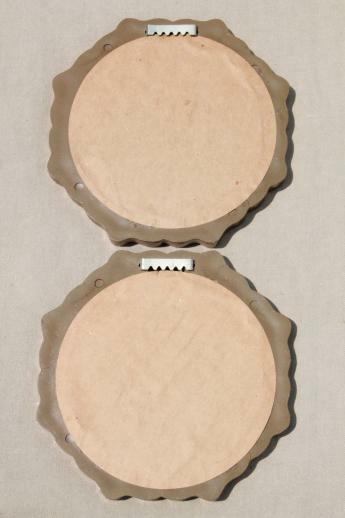 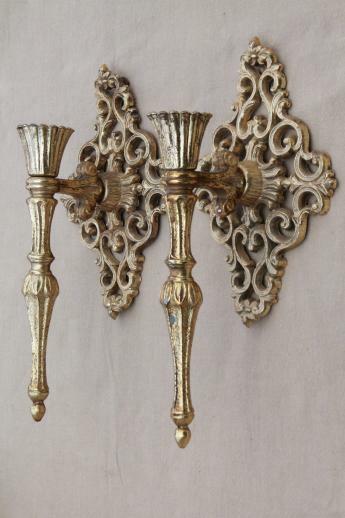 The sconces measure 10 1/2" long overall, the tray is 13 1/2" end to end, and the two wall mirrors measure about 7" across. 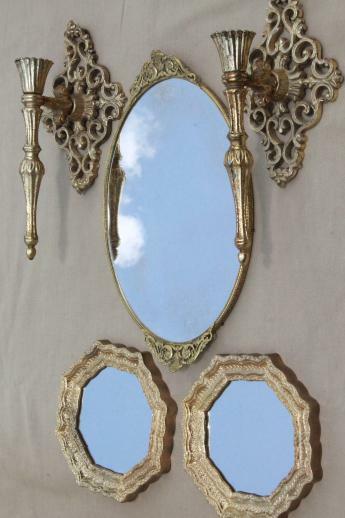 It's all in very nice condition, a mixed collection which all works nicely together!